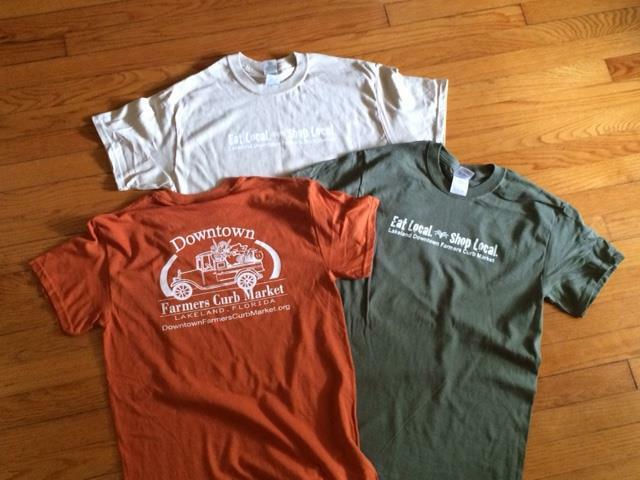 Vendor News: Check Out What's New at the Downtown Farmers Curb Market! Thanks for a great start to another Market year. We've got such a fabulous mix of new and returning vendors that it's obvious that it's going to be a great autumn season. Personally, I can't wait for that first cool morning when we'll know that fall has finally arrived. 1). Remember why you love your business, and focus on making or promoting products and services that you personally feel passionate about. Customers will pick up on your positive energy and buy more. 2). Let everybody know what you do and what you have to offer. Create shirts with your logo, magnet signs for your car, banners for your tent, or any other promotional tool that will bring awareness to who you are and what you do. Be an ambassador for your products. 3). Know your strengths and weaknesses, and don't be afraid to ask for help or pay someone to fill the gap. For example, if you aren't good at taking pictures of your products, find someone who is. If you don't have the financial resources, try bartering. 4). Consider giving back. Businesses involved with charities or non-profits in some way build stronger ties to the community and foster feelings of customer loyalty. Plus, it's just a nice thing to do! As the new Market year begins, we have lots of new vendors joining us, as well as some returning vendors with new products. BB Soul, located near Oak Street, offers customers authentic Southern Soul Food, made from scratch using high quality, locally sourced ingredients. AM Acres is a local farm in Lake Wales that sells goat's milk, goat yogurt, and goat cheese spreads. 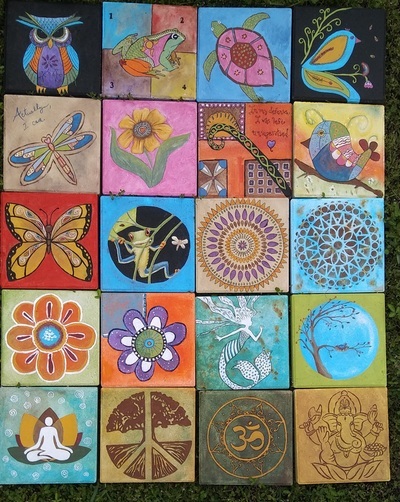 Soul-House Art offers gorgeous, hand-painted stepping stones as wells as eco re-wraps--a plastic wrap alternative for keeping food fresh. 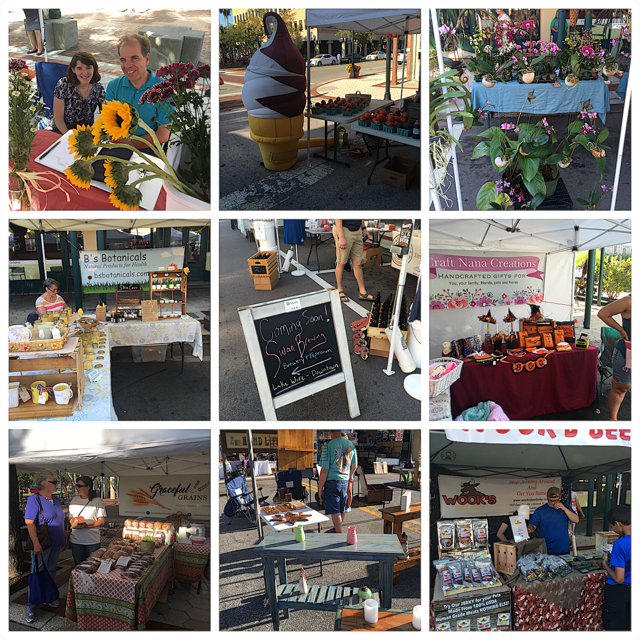 These are just a few of the interesting new vendors who have joined us at the Market. Come visit them this Saturday, and show your support for local small businesses! Check out the seasonal fruits and veggies our vendors are offering this week. Don Lewis, owner of Don's Wood Works, specializes in five board benches. 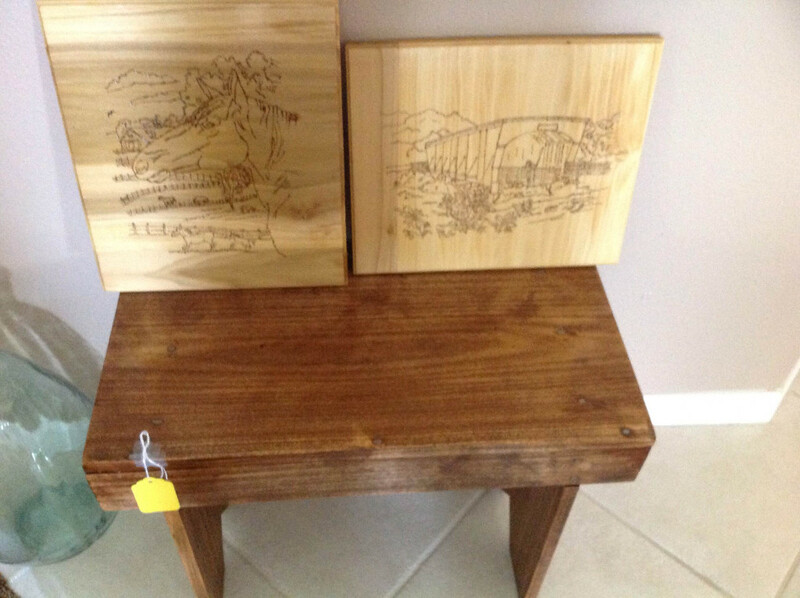 He has been woodworking for the past 50 years, and he makes his benches special by using a wood burning technique to add beautiful images to the bench seats. Check out his work this Saturday! Floyd and Sarah Gibbs, who just celebrated their 50th Wedding Anniversary last week, are the proud owners of Gee Gee's Homemade Brittle. 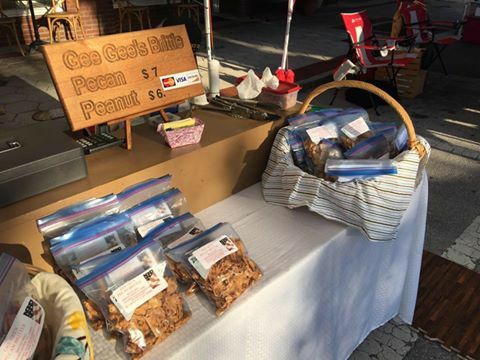 They've been cooking homemade peanut and pecan brittle for the last 20 years for friends and family, but they decided to turn their hobby into a delicious business when they retired last year. They love being at the Market and meeting new people every week. Visit them this Saturday! 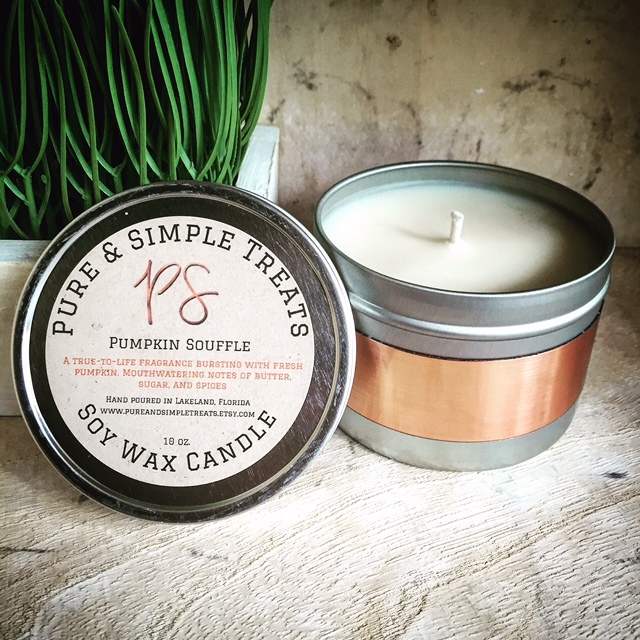 Angela, owner of Pure & Simple Treats, is launching her Fall line of home fragrance scents this Saturday at the Market. Her soy candles, wax melts, reed diffusers, and car air fresheners will be available in Pumpkin Souffle, Marmalade Spice, Apple Pecan & Sage, and Cinnamon Latte! She is now located on Kentucky Ave. in front of Mitchell's. 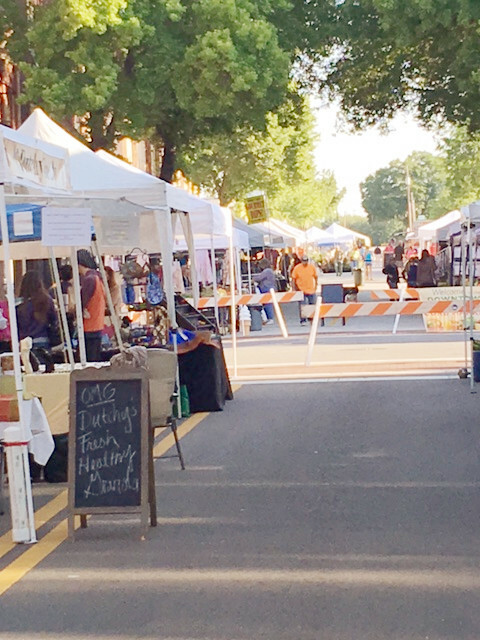 Due to the construction on NoBay Village, the Market now stretches directly north from the train tracks, up North Kentucky Avenue, across Pine Street and Bay Street, all the way to Oak Street. That's over four blocks of Market fun! There is parking conveniently located at both ends of the market--on Oak Street and across the train tracks by Munn Park. As always, there is also on-street parking on Tennesee Ave. and Pine St.